I repeat, will the real Swim Shady please stand up? It’s offishal! The overall winner of the naming competition with almost 30% of the vote was Swim Shady! With a shortlist studded with marine puns of one form or another, Swim Shady emerged as the most popular name but I do not know who suggested it. So would the real Swim Shady name entrant please stand up? Make yourself known to claim your prize. Runners-up with shortlisted names were: Dave Grohl (Aaron H. 10B) and Augustus Waters (Lucy T. 7B) and they have a prize waiting for them to collect from the Senior Library. Please drop down to collect. Well done and thanks! Vote for Your Favourite Fighting Fish Name. Competition closes Friday Week 3, Vote now! Name Our New Library Fighting Fish. 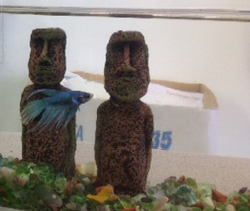 We have a new resident Siamese Fighting Fish in the Senior Library. 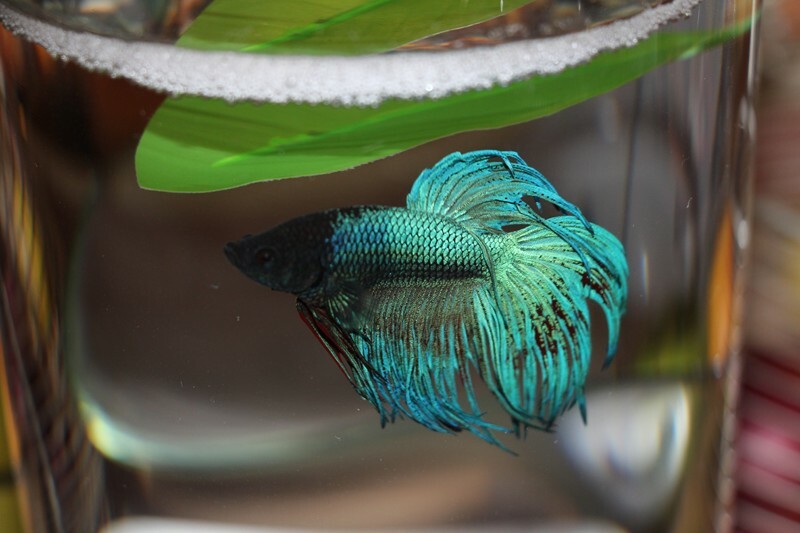 This attractive Crown Tail Betta won’t easily replace our previous beloved fish (in order of their demise, Pistachio, James Pond and Atticus Fish). However, it seems the Cabra Community loves a fighter and we have a new contender, as yet unnamed. (see picture at above). Entries are now open for our ‘Name the New Library Fish Competition’ and as usual super prizes are on offer for the top 3 suggestions. Scaleduggery Pleasant, F. Scott Fishgerald, Jaws, Salmon Rushdie, and Huckleberry Fin. Leave a comment on this post or email Mr Bull to submit your entry. Competition closes Friday Week 3, with the shortlisted names voted upon in Week 4. Jump in! 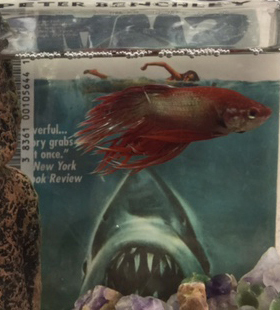 I’m pleased to be able to report that James Pond our resident Betta or “Siamese Fighting Fish” is alive, well and now no longer alone in the Senior Library. After spending the last few holidays alongside (though never in the same tank as) Mr Bull’s own Siamese Fighter, ‘King Neptune’ it was decided that James would benefit from some company. Enter ‘Atticus Fish’, a juvenile, fantail Betta. 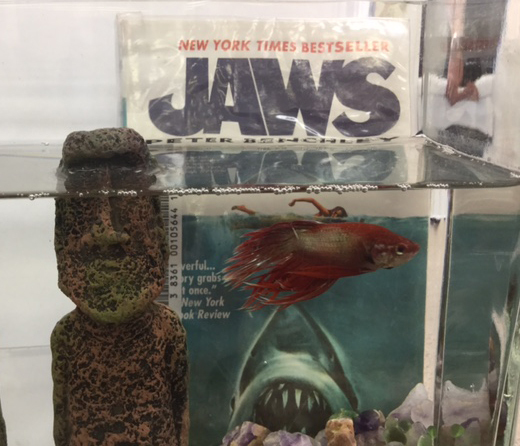 He has his own tank, Easter Island statue and a view of James Pond’s tank right alongside. So, drop down, say hello and welcome our latest arrival. James Pond, licensed to gill? Well it’s official. Our new library fish finally has a name. Beating off stiff competition in a field of cheeky contenders, it seems that James Pond (007 for short) was the most popular name by a considerable margin. Named after author Ian Fleming’s inimitable English Spy, we wish James a long and happy life in the Senior library. Please feel free to drop down and say hello. The overall winner of the naming competition with almost 25% of the vote was Alexandra D. from 9 Yellow. runners-up with shortlisted names were: Emily W (7 Black), Josh S (11 Black), Jarrel A (11 Gold), Jasper H (8 White), Victoria S (9 Yellow), Grace S (7 Rust) and Jon P (12 Gold). Alexandra and all the other students mentioned above have a prize waiting for them to collect from the Senior Library. Please drop down this Friday. Well done and thanks! So, entries have now closed for our ‘Name the New Library Fish Competition’. With over 60 entries it was hard to whittle these down for our shortlist but we are now ready to open the voting. Thanks to everyone who made a suggestion (even those we cannot include here for legal reasons). Take a look at the list of the best 15 names below and vote for your favourite. 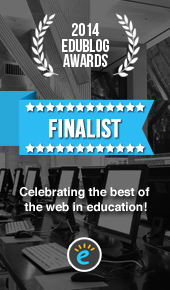 Shortlisted entrants will receive an email soon with details on how to claim their prize. The overall winner will be chosen by Monday 8 April and our new friend offishally named soon after.